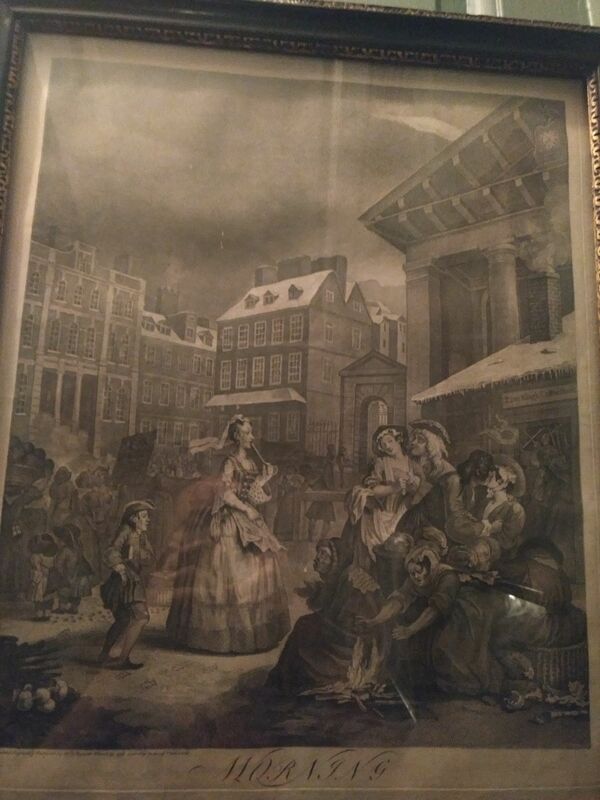 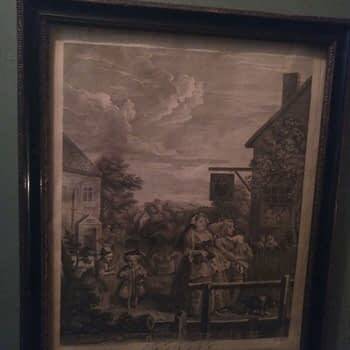 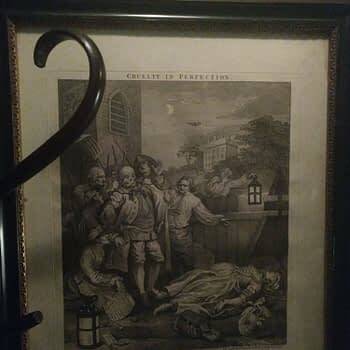 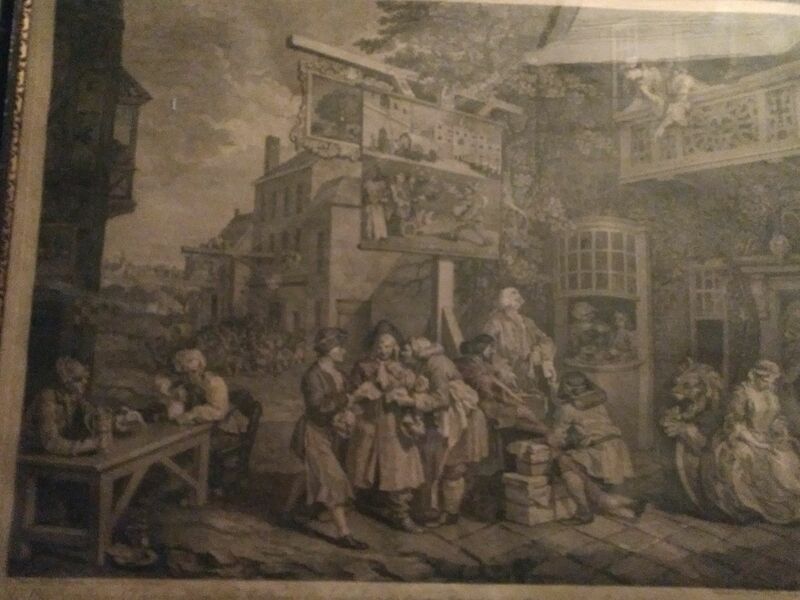 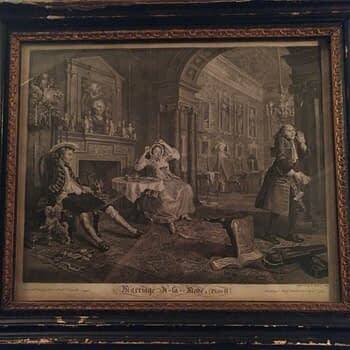 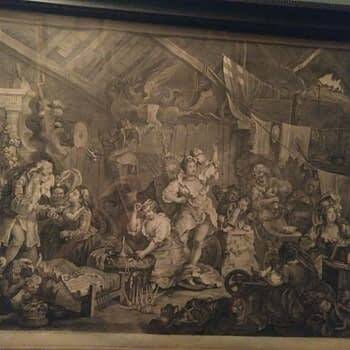 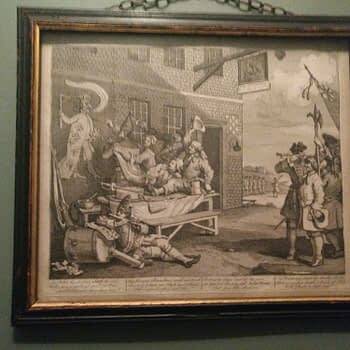 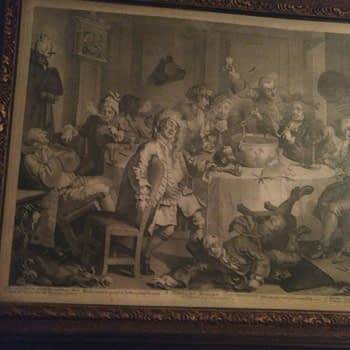 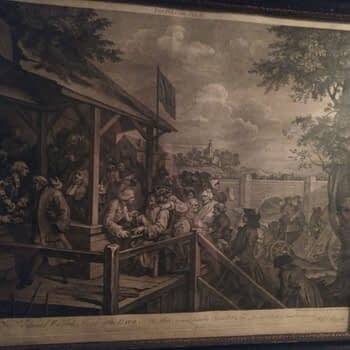 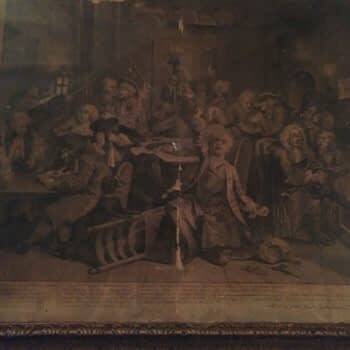 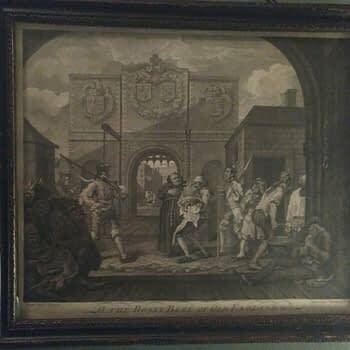 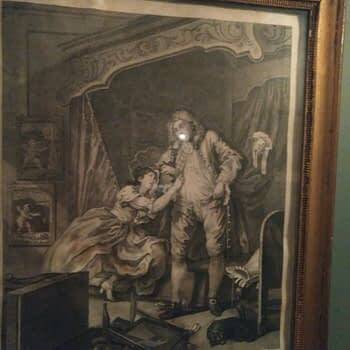 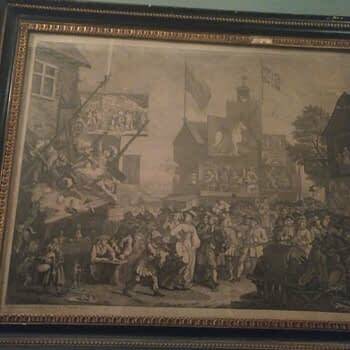 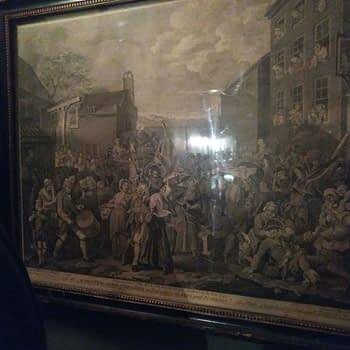 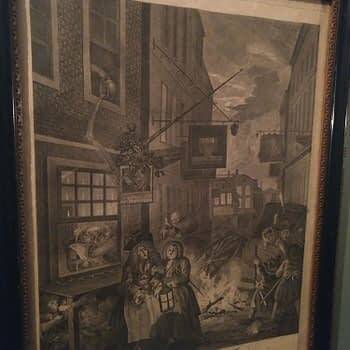 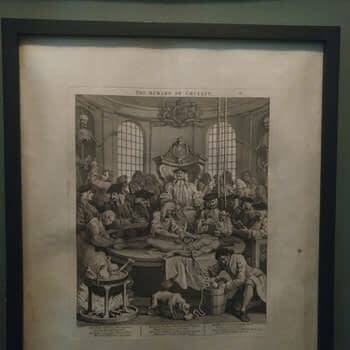 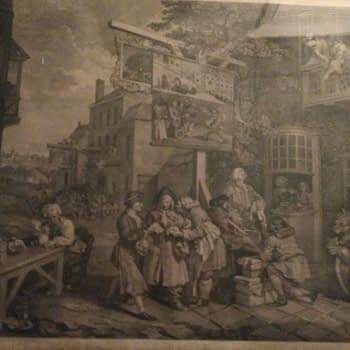 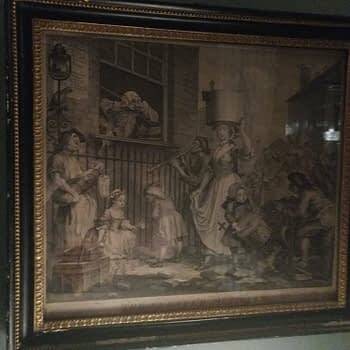 William Hogarth was an 18th-century painter, cartoonist, printer and engraver, best known for his satirical ‘modern moral subjects’ series, of which he sold engravings on subscription. 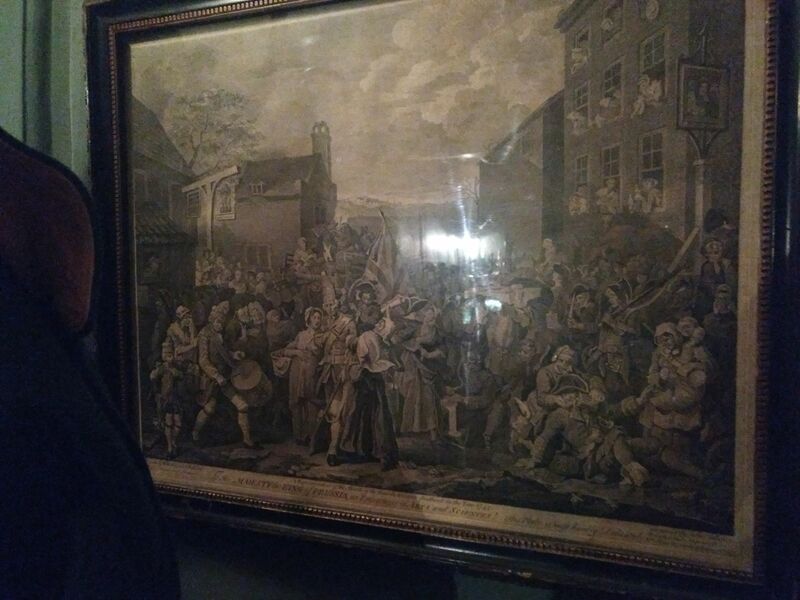 He was a wonderful portrayer of society’s foibles, often in grotesque and hideous forms, including s A Harlot’s Progress, A Rake’s Progress and Marriage A-la-Mode as well as the early product-placement couplet Beer Street and Gin Lane. 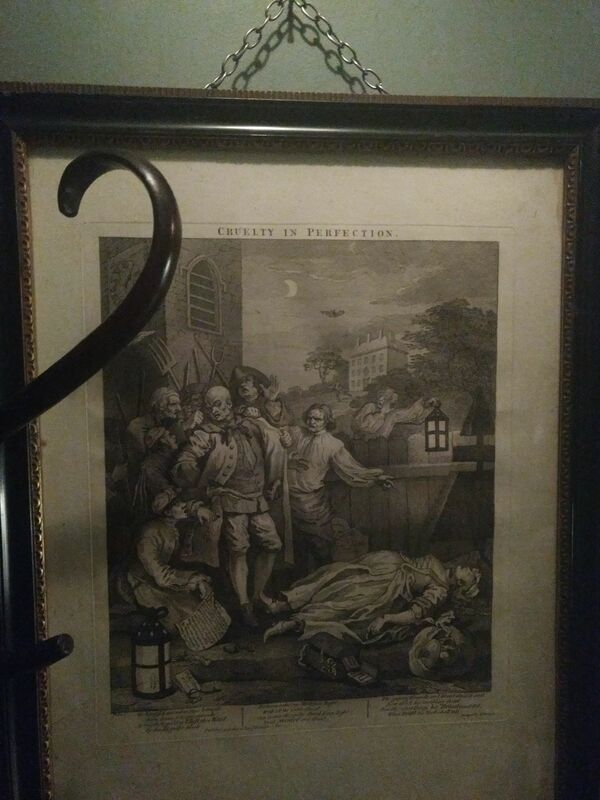 Considered one of the bedrocks in the history of British cartooning and satire, he’s recently enjoyed a bit of a revival courtesy of a couple of stage plays we covered on Bleeding Cool earlier in the year. 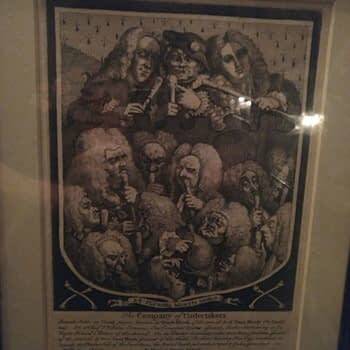 This year, I was made a member of Blacks Club, a private members establishment on Dean Street in Soho, London. 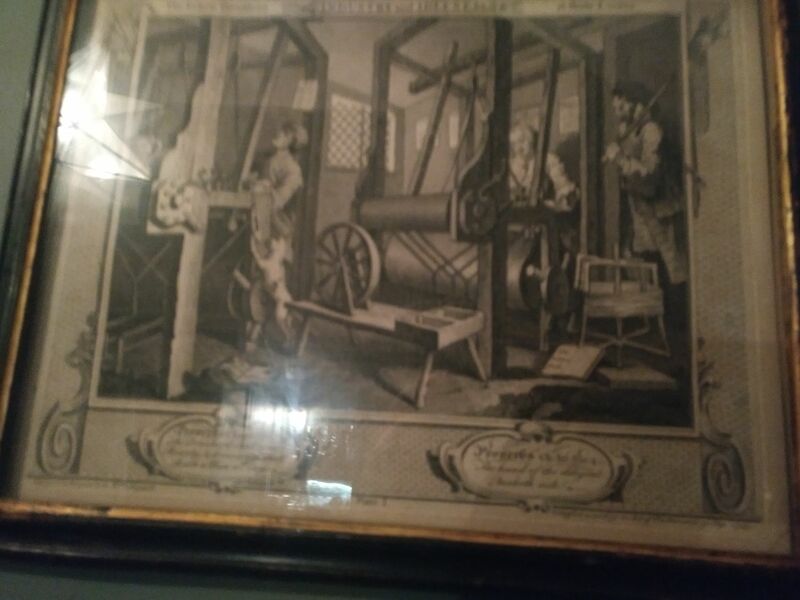 You’ll often find me here, writing Bleeding Cool, on a Tuesday to Thursday. 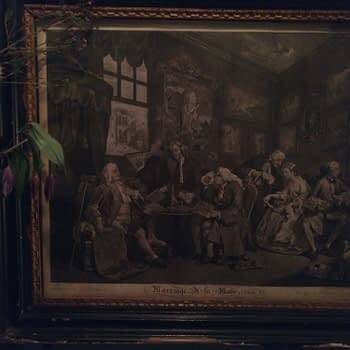 The building used to be the dining club of the greet London socialite and literary figure Dr Samuel Johnson in the 18th century, a contemporary of Hogarth. 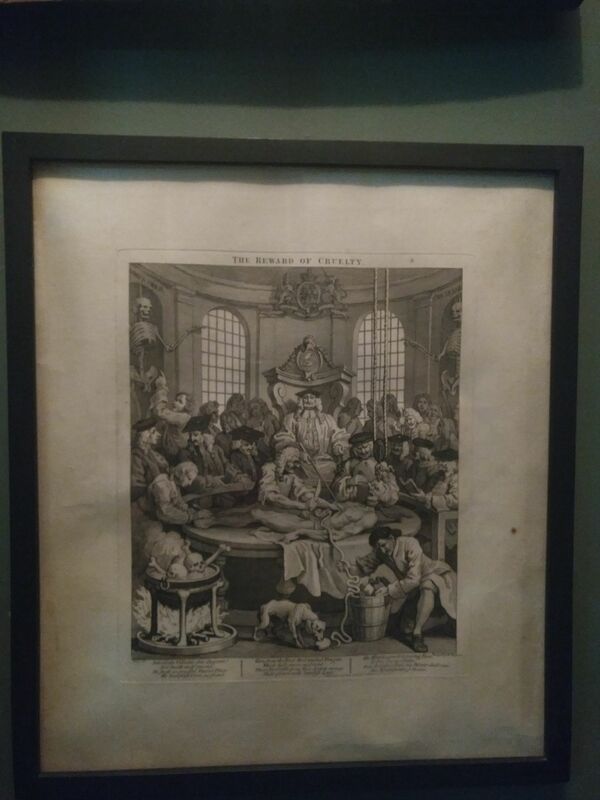 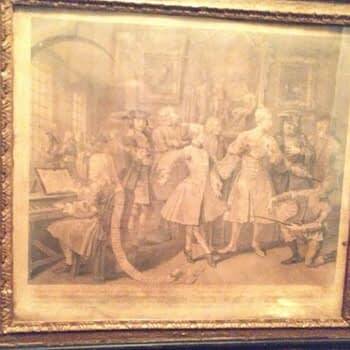 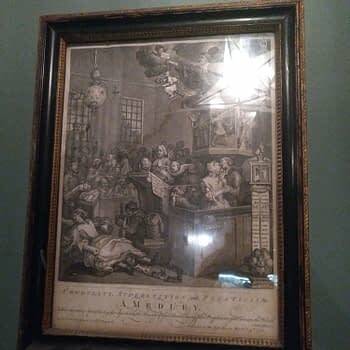 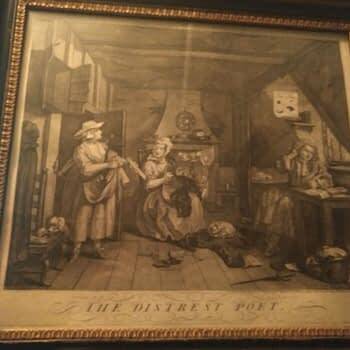 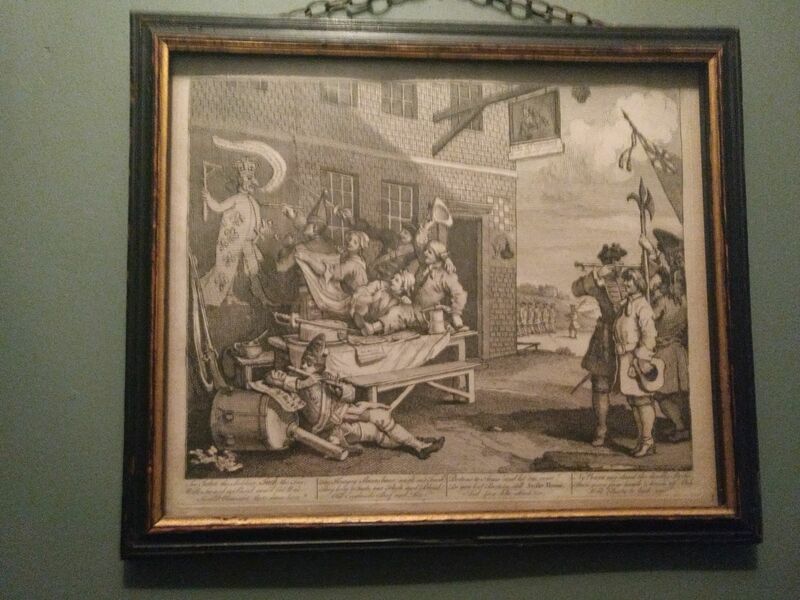 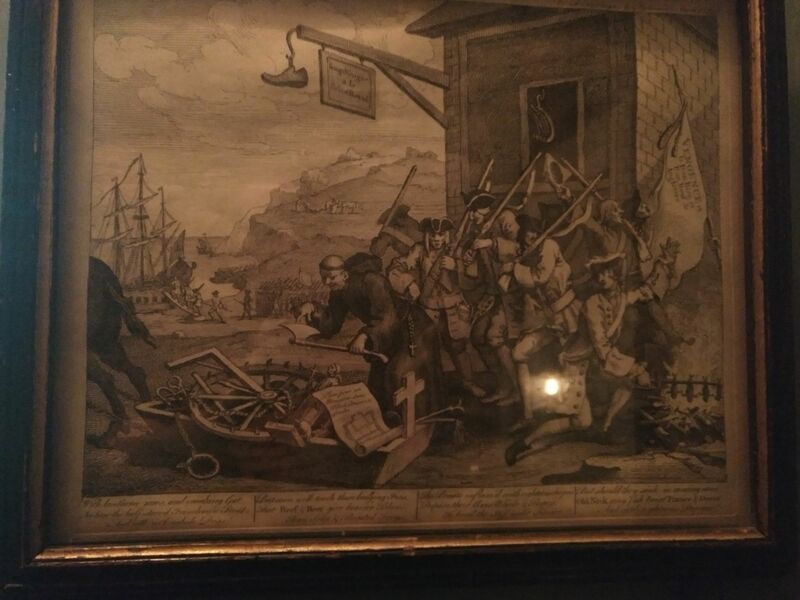 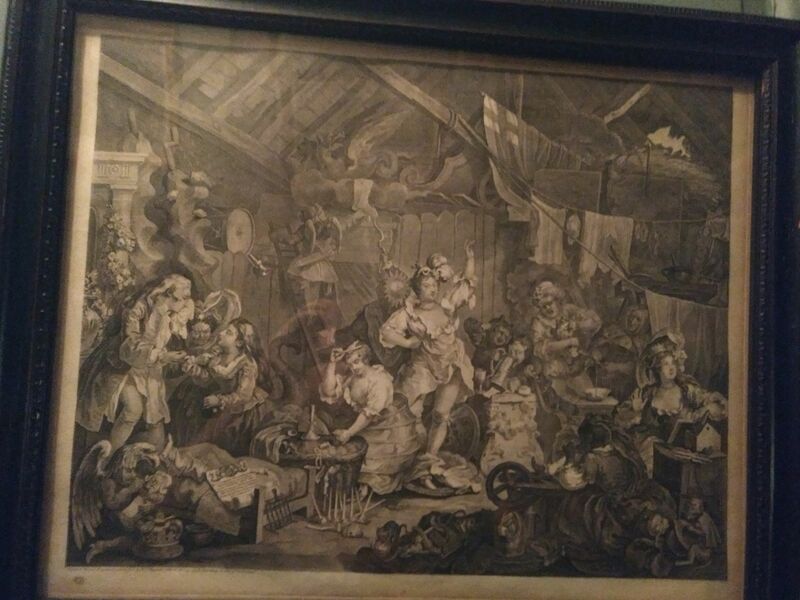 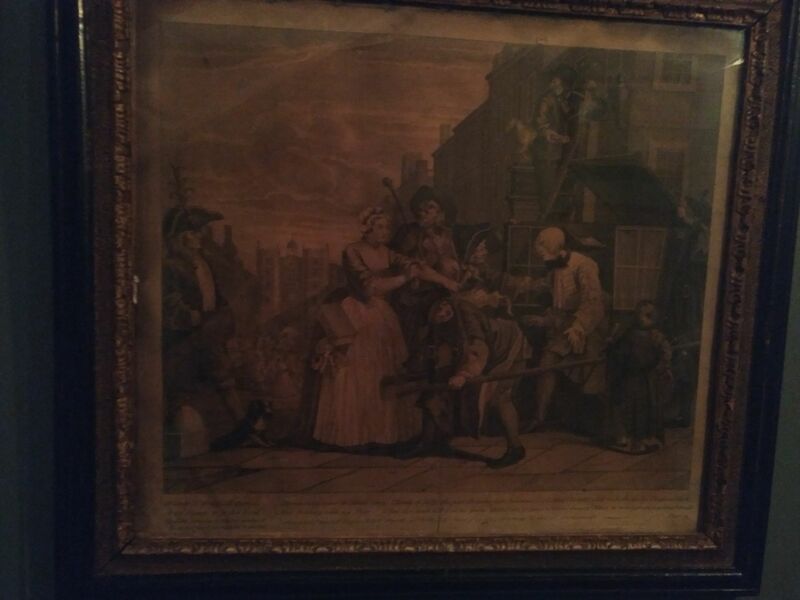 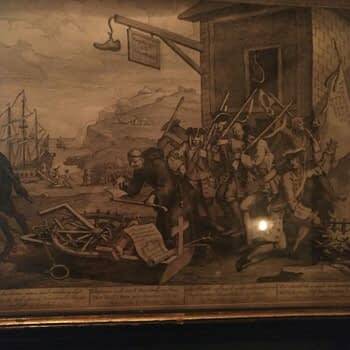 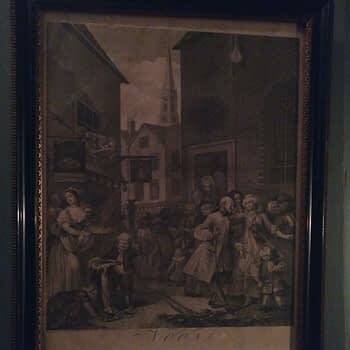 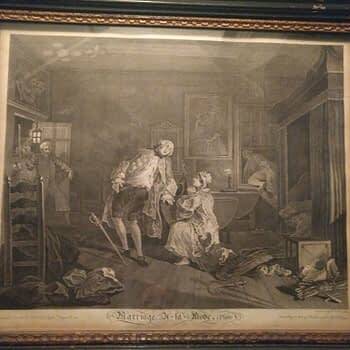 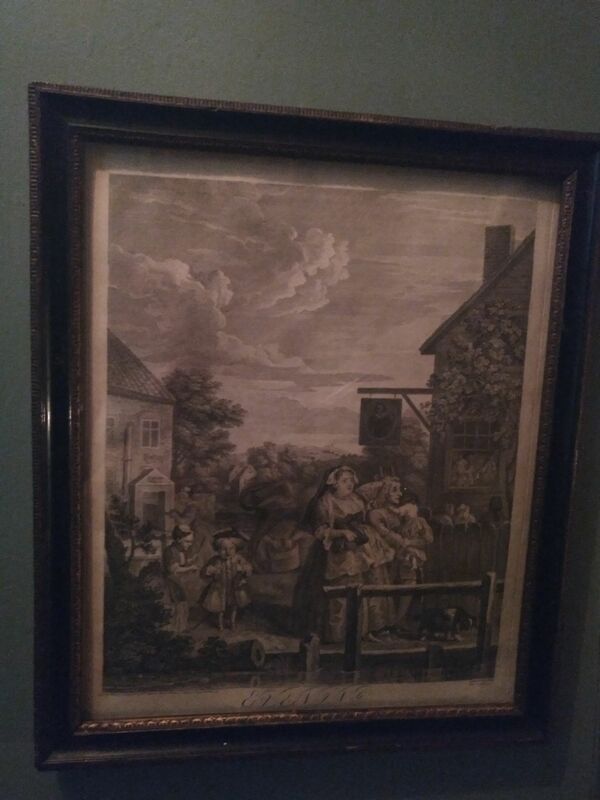 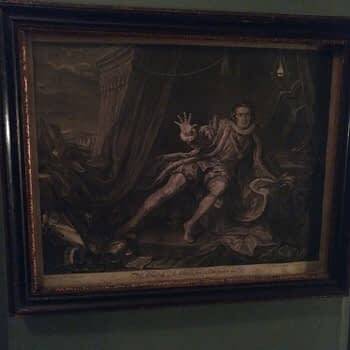 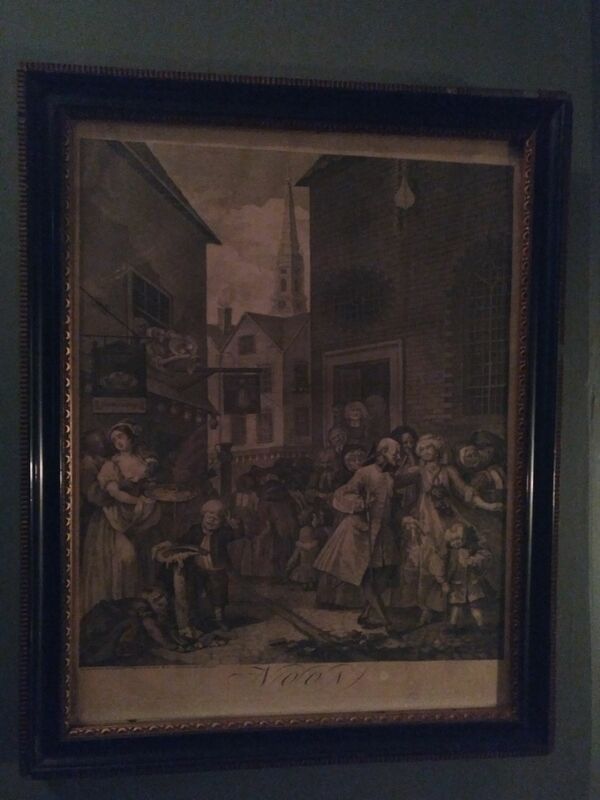 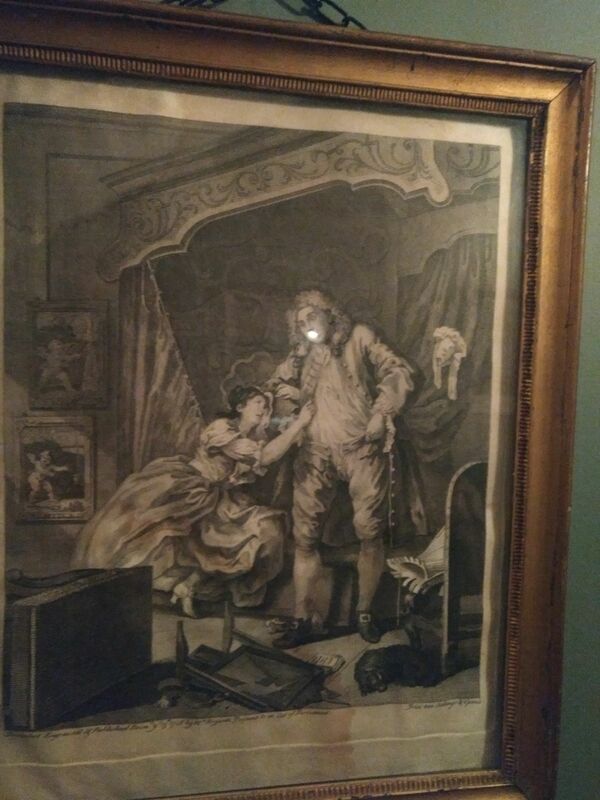 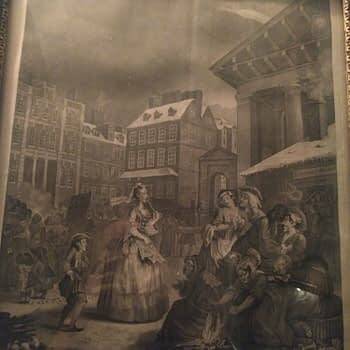 And up and down the stairs, there are dozens of Hogarth prints from the time. 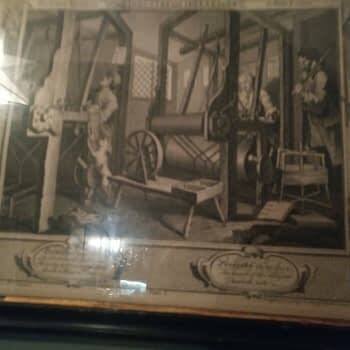 They even use one for their website. 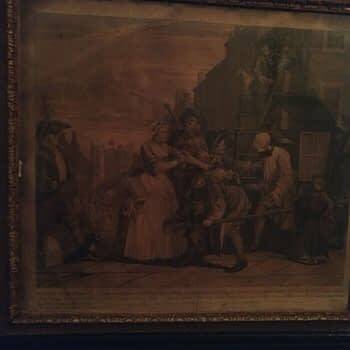 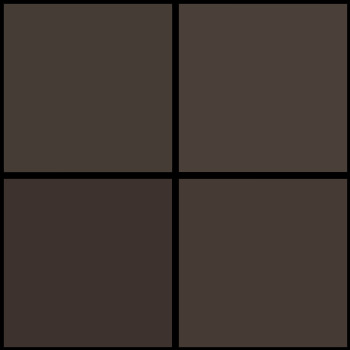 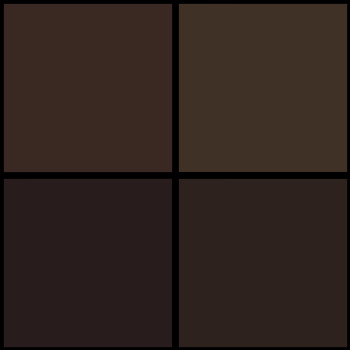 Here is a gallery of the ones I was able to reach. 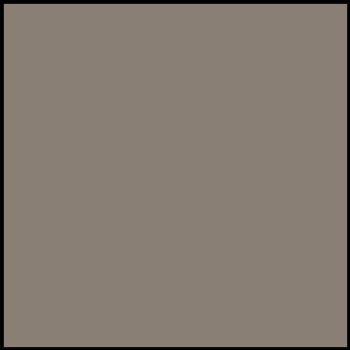 Will There Even Be an Uncanny X-Men Comic After #11?